Inge passed away in Kelowna, BC on January 14, 2019 of Alzheimer’s. She was born in 1937 in Albersloh, Germany. Inge trained in a dairy to become a purchasing assistant. In 1959 she immigrated to Canada with her husband Ludwig, settling in Trenton, Ontario where their children were born. In 1967, the family moved to Niagara Falls where Ludwig started as a teacher at Lord Elgin. Inge worked as a clerk at a succession of local insurance brokerages (R.C. Young, Morningstar & Bampfield, Olsen & Sottile). Many long-lasting friendships began at those establishments. Inge was a member of Stamford United Church where she and Ludwig met some of their dearest friends. Inge was known for her spotless home, a love of Renaissance art, amazing baking, stylish clothing that she sewed herself and the ability to mangle the English language much to everyone’s amusement. When Ludwig retired from teaching in 1993, he and Inge moved out to Kelowna to be closer to their children who had moved to BC and Alberta. In Kelowna they found hot dry summers that were a relief to Inge’s arthritis, a steady supply of fruit for her renowned tortes, new friends and a caring community at the Church of God. Starting in 2013, Inge resided at the Complex Care Unit of Mountainview Village where an amazing and caring staff made a home for her. During those years Home Instead also provided great care and companionship to Inge. Inge is survived by her son Andrew (Verna) and her siblings Gisela, Rudi and Hannelore. She is predeceased by Ludwig and daughter Kathy. She will be missed by her grandchildren, Lukas, Roman, Adam, Rae, Jaden and Fiona, as well as family in BC, Ontario, California and Germany. 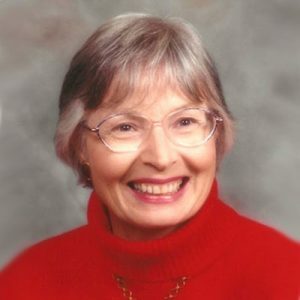 The service for FOX, Ingeborg is scheduled for Saturday, February 2, 2019 at 11:00 am . Below you will find the map for the service location and the contact information should you have any questions. Herzliches Beileid senden dir Sigrid u.Rolf!Inge war ein sehr liebenswerter und sympatischer Mensch.Wir haben sie sehr lieb gehabt.Früher war sie oft in Homberg bei uns zu Besuch und wir haben uns immer sehr gut verstanden.Zuletzt haben wir uns bei einem Besuch in San Diego gesehen.Zusammen mit ihrer Schwester Gisela hatten wir pert Rikscha eine Hafenrundfahrt gemacht und dabei viel Spass gehabtNochmals herzliches Beileid,es tut uns sehr leid! Debbie, Omi and I would like to express our deepest sympathies and condolences. I know the past few years have not been easy for the entire Fox family. Tante Inge will be in our thoughts and prayers forever!